"Betsy listed our home in Jacksonville Golf and Country Club last year. She was very professional and provided us with a great deal of information during the process. She spent time in our home to get familiar with it and gave us suggestions to make that first impression appealing to buyers. Betsy made us feel special as her clients and was very personable. 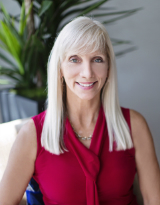 I would encourage those that are looking to list or buy a home to consider Betsy Molitor as your professional agent." "I would like to thank you for all your hard work. It was our first time selling a home and we were terrified! You made the the whole process run smooth. Your enthusiasm was contagious! You were a fantastic Realtor to us-professional, caring, and attentive to every detail. "My first reaction to Betsy was that she is warm and friendly. My husband had an idea of the kind of home he wanted and it was a challenge for both Betsy and me. She always treated us with the most respect and patience. She looked and looked for us...always finding and adding anything new on the market to our list. She was also so friendly to my daughters who are 34 years old and have Down Sydrome. I loved working with Betsy and will call her again for any Real Estate needs." "Working with Betsy Molitor was the best decision I could have made. Before I moved away from Jacksonville, FL. together we researched areas in Pensacola . area that helped me find a great house. Before I move again I will call Betsy."